Remember the Boy Scout motto? It’s “Be Prepared”. Today’s winter tip is for you to get prepared before something happens, so that when it does happen, you can kick up your feet and relax, instead of fighting the masses of people rushing to the store to prepare after the fact. There are several potential scenarios that can cause a disruption in our lives and the means of distribution of goods that we rely on. If you live in Eastern Iowa, then you can probably use your imagination to envision some of these potential events. Some examples are; extended power outage, municipal water supply disruption, severe weather, civil unrest, food supply/ distribution employment strike, monetary collapse and nuclear power plant accident. The U.S. Government provides a rudimentary guide through FEMA for basic preparedness. The guide is a good starting point and will help you get a three-day supply together. Even having a three-day supply is much better than having nothing at all. Depending on where you live in Eastern Iowa and your socioeconomic status you may decide to be more prepared or less. I strongly suggest the former. Many will seek government assistance during a crisis. In my experience, this is not the best option as any existing bureaucracies will likely be over burdened, under supplied and bogged down in the bureaucratic nightmare of paperwork. Here are a few ways you can be prepared and help put your mind at ease should the unexpected happen and you need to hunker down for a week or more. Water: Without good clean water we’re done for. It’s as simple as that. There are a couple of places in your home that you can get clean water from for free. The tanks on the back of your toilet are filled with potable (drinkable) water you might clean those occasionally just in case. The water heater in your home will have clean water that can be used in a crisis as well. Some folks have a water filtration system that can be used in an emergency. There are different types, e.g. pump or gravity. Some folks have pre-filled containers. Either way, it’s a good idea to see to your water needs before a crisis occurs. Food: Without food we get grumpy, tired, and weak. after a short time our immunity becomes weakened making us more susceptible to sickness and eventually, well…let’s not go there. 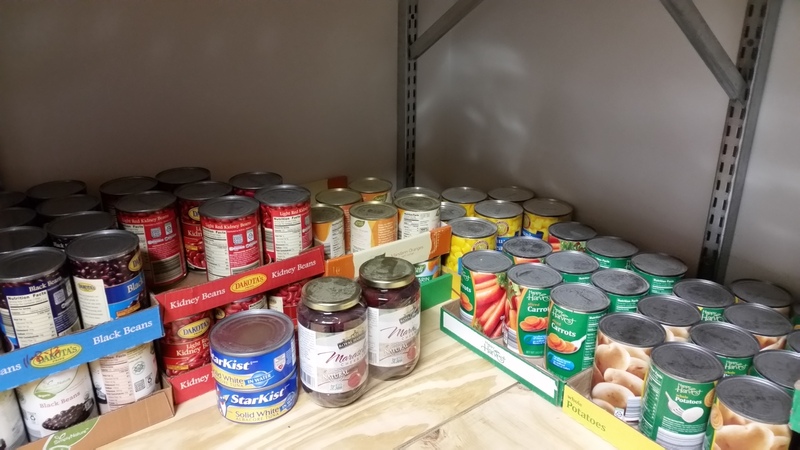 It’s a good idea to be prepared by keeping some canned goods stored downstairs. You don’t have to run your own grocery store. But, if you rotate stock, use what you have, and maintain a small supply, you’ll feel better about being prepared and not having to fight the masses if the worst should happen. You don’t have to be wealthy to do this. Just buy a couple of extra cans every time you go to the store and before you know it, you’ll be well stocked and have some extra piece of mind for you and your family. If you have some extra funds, another option is dehydrated or freeze-dried foods. The picture here comes from My Patriot Supply. 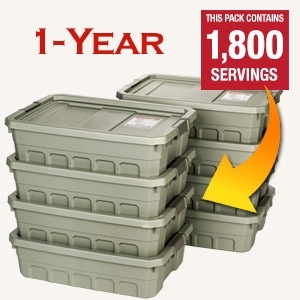 These stackable food totes are supposed to contain enough dehydrated food for a full year, be non GM, and have a shelf life of ~25 years. If you are ambitious and want plenty of food for you and your family, this is definitely the way to go. Divide this one year stack by four people and you get a full three-month supply. Heat: Last but not least is to have an alternative source of heat. 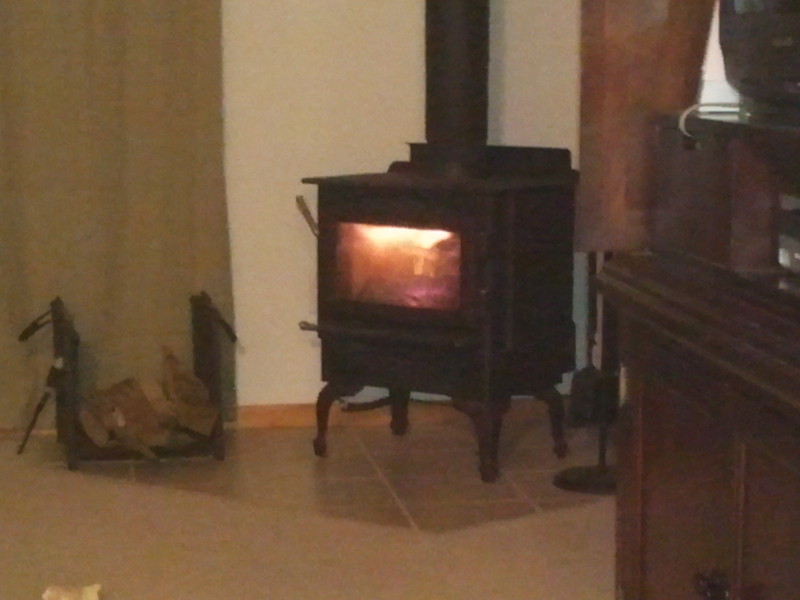 To be prepared in Eastern Iowa means that we have another way to supply heat. If the power goes out and you don’t have a back up generator, an alternate source of heat can not only keep you alive, but keep you comfortable as well. I hope these winter tips have helped you and that you will share them with your friends and family. Have a happy, safe and self-reliant winter. Stay tuned to our Facebook page for tips, advice and fun stuff.